Summary I put together from Victor's posts - The Iron Forge Fire Blackmithing Forum. On March 25th, we had a very successful meeting of folks in the blacksmith shop at Williams Grove Historical Steam Engine Association in Pennsylvania. Both beginner and intermediate skills/information was shared with attendees. Please PM me with your email address if you wish to be added to list for updates to what is happening at the Blacksmith Shop at Williams Grove Historical Steam Engine Association. Blacksmith group meetings at the Williams Grove Blacksmith shop are planned for last Sunday of each month. 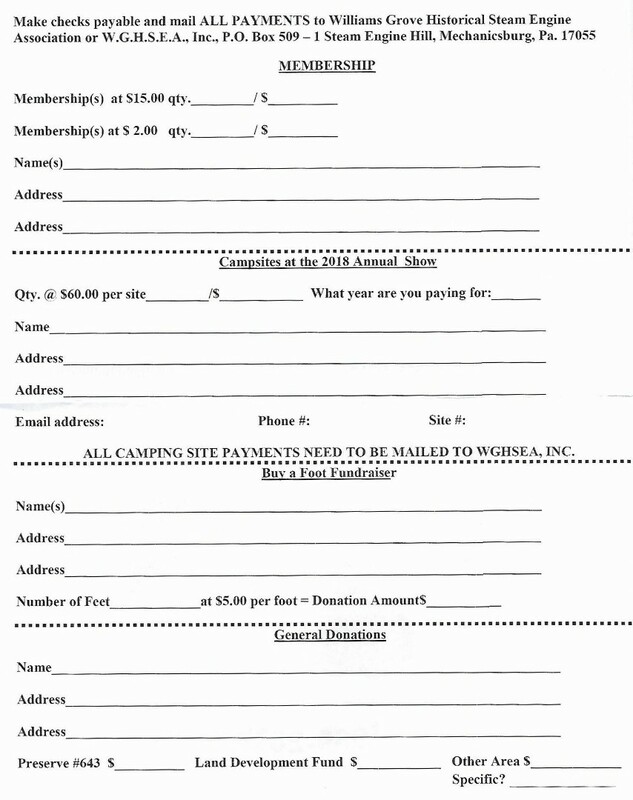 (Please to not use the forge before you pay dues for the Williams Grove Association and sign their release form.) We will be developing an additional release form for smiths. Aug 19, 2018 Williams Grove show preparation for people planning on demonstrating at the August event. Aug 26th- Sept 3rd : 9am till ? Each day. Times to be decided at the August 19th meeting. This is the big annual Steam Engine show. Blacksmith shop will have demonstration throughout the week. Sunday, May 20th so that he can volunteer at the forge as he did last year. To work at the forge, each person must first join the Williams Grove Historical Steam Engine association. 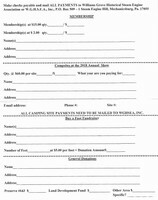 Here is the form.